Shake up your practice with National Elite Hockey Development! We would love to come to your team’s practice to run a personalized clinic. We have many years of experience working with all ages and levels. We would be in contact with your coaching staff in order to tailor a session for your team’s specific needs. 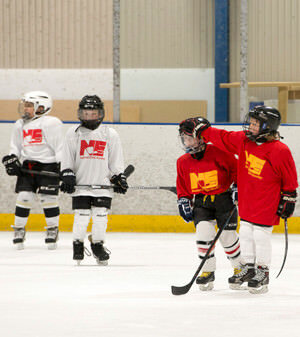 From skating and skills to game play, we can help every team improve! Contact us at nelitehockey@gmail.com for pricing and availability. All sessions will be held at the Baierl Ice Complex, 103 Marshall Dr, Warrendale, PA 15086. Please contact us at nelitehockey@gmail.com for pricing and availability.